My head is swirling with thoughts this week. These thoughts are neither in need of urgent resolution, nor are they troublesome per se.But there are many it seems ranging from friendship, social media, and children to parents and politics. Perhaps because I haven’t had time to really give them their proper due, I am feeling a little off kilter. I am hoping with a long weekend ahead, there will be some time for me to spend some time writing and clear out some of these cobwebs. Who knows, maybe there’s a blog post waiting to come out of it all. I mention this because this week’s post is not going to change your life. 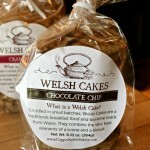 But the recipe serves as the often necessary comfort food we all crave from time to time. I prepared the dish for my neighbor who recently lost his mother. She was also our neighbor and was one of the first people to welcome our family to the neighborhood 22 years ago. 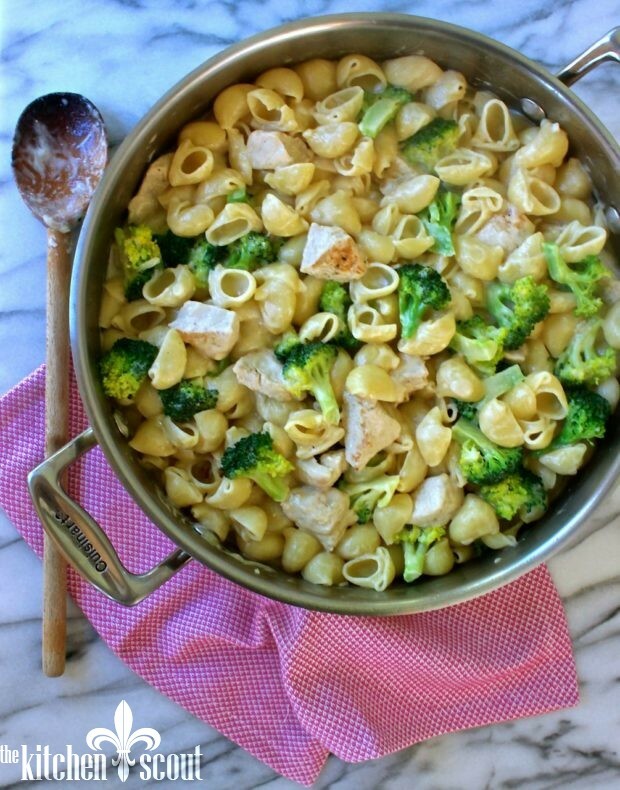 The recipe is for a cheesy pasta that has my favorite combination of chicken and broccoli and is a one pot wonder to boot. I am actually making the dish twice this week. 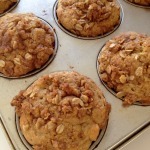 Our younger daughter is coming home for fall break and it was she who introduced me to the recipe. She and one of her besties prepared it for dinner when we were all together on vacation last Spring. Our daughter, like many of her peers, loves the videos that show a meal being prepared in 30 seconds and usually end with the word “yum” (or a synonym of yum) scribbled across the screen. The recipes quite often involve lots of cheese and perhaps are not the most heart healthy. But many of them, I have to admit having viewed my fair share, do look tempting. You’ve probably seen a few of them too. 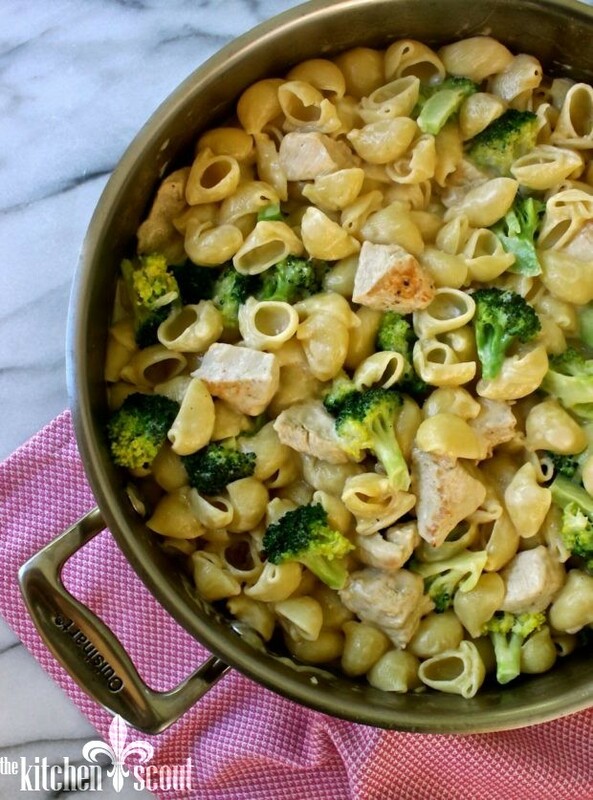 Comfort food, game day food, an easy weeknight dinner that kids will love-food, or even food for sitting in front of the television binge-watching one of your favorite shows “that will go unnamed because my husband thinks it’s becoming a problem”, One Pot Chicken, Broccoli and Cheese Pasta will satisfy all of that. 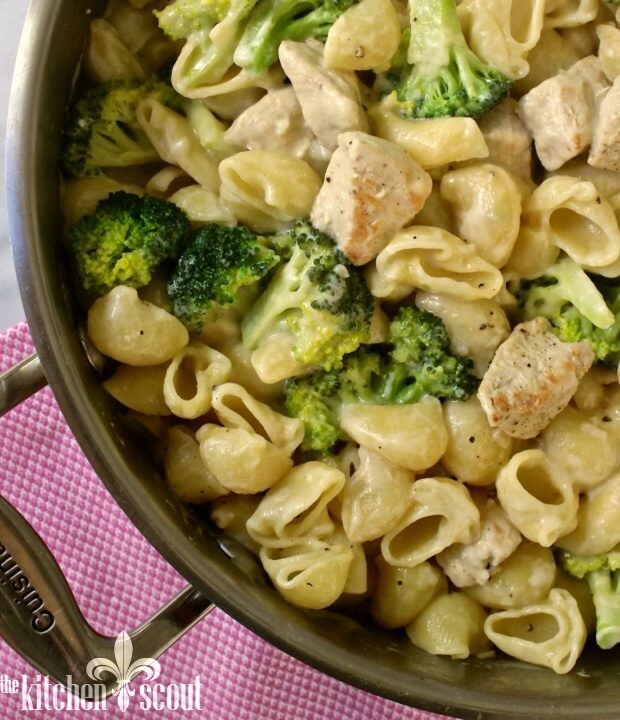 It’s a quirky recipe but the result is a creamy, cheesy pasta with good flavor. Oh and if my good friend, Sue B. is reading, send this one along to TB as it’s a super easy one for college kids cooking for themselves! Recipe adapted slightly from Buzz Feed. Place chicken pieces in a bowl. Sprinkle with a little kosher salt, freshly ground pepper and a spoonful of flour. Toss to coat, shaking off excess flour. In a large pot, heat the olive oil over medium heat. Add the chicken pieces and allow to brown on one side without disturbing. Flip the chicken and add the onion and garlic to the pan. Cook for an additional 1-2 minutes. Add the chicken broth, water and pasta to the pot and stir everything together. Allow the liquid to boil and then reduce the heat to a simmer and cover the pot for about 10 minutes. Remove the cover, add the broccoli and turn the heat up to medium. Stir until the broccoli is cooked through and most of the remaining liquid has evaporated - leave just a little bit in the pan, about another 5 minutes. Add the nutmeg and cayenne to the half & half or milk and add to the pan along with the shredded cheese. Stir until creamy and the cheese has completely melted. Hi Val, I think that this recipe is really good. I like the balance of flavor and also that little spike from the Cayenne pepper. I made this dish using linguine and frozen broccoli. That sounds great, Daisy! Glad you enjoyed it. I make CBZ (as we call it) all the time but never in one pot – love it! Curt is living at home with us for a bit and has expressed an an interest in cooking. I’m putting him on this one. Thanks! Oh that is perfect! And I love the nickname for the pasta! Good one! I hope you enjoy it. this a try! Thanks for sharing! Love Ree! I hope you enjoy it!